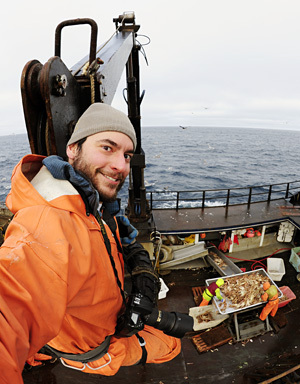 Chris Miller is a Freelance Photographer based in Juneau, Alaska who focuses primarily on Commercial Fishing, Backcountry Skiing, and photojournalism. Chris’ work has appeared in the Worcester Telegram & Gazette, the New York Times, Anchorage Daily News, Alaska Magazine, Newsweek, First Alaskans, People, on the Daily Show with Jon Stewart, CNN, and various international publications and books. His work is also represented by Alaska Stock, the Associated Press, and Zuma Press photo agencies. His clients include Ocean Beauty, Alaska Seafood Marketing Institute, University of Alaska Southeast, Juneau Convention and Visitors Bureau, Alaska Seaplanes, Copper River Marketing Association, Wholefoods, Schiedermayer and Associates, Alaska Brewing, and Patagonia.